The 4-packs that appeared briefly will be $10 each next Friday. They are sold separately. They will probably be back online after Black Friday for $14.99 – either way,a nice price and great for newbies just joining in … though note for variant collectors, this is your second opportunity to get the corrected stripe DJ (classic eyes) outside the TRU 5-pack. We’ll find out in another week if there are other variants. NOTE – Many Walmarts will be open at MIDNIGHT (one minute past Thursday Turkey day) but the doorbusters electronics do not go on sale until 5 AM. They also have started ONLINE SPECIALS which may not be available in stores. Again, the 4-packs are currently not online. Kmart also has special online sales going on right now. TRU will be open at 10 PM Thanksgiving Day and be open for 24 HOURS until Friday at 10 PM. There will be different sales and doorbusters – more details next week. 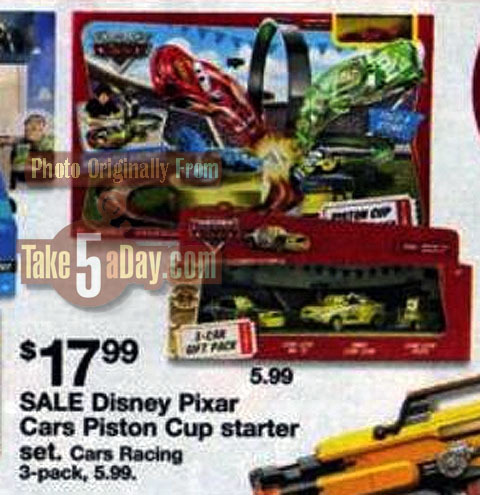 There’s nothing spectacular going on at TRU for Black Friday – Mater the Greater Stunt Playset for $12.49, the Piston Cup 500 track set is $10 off – $39.99 (while not a huge deal, it was listed on eBay for $150 …). Toys R Us has daily sales going today and tomorrow. 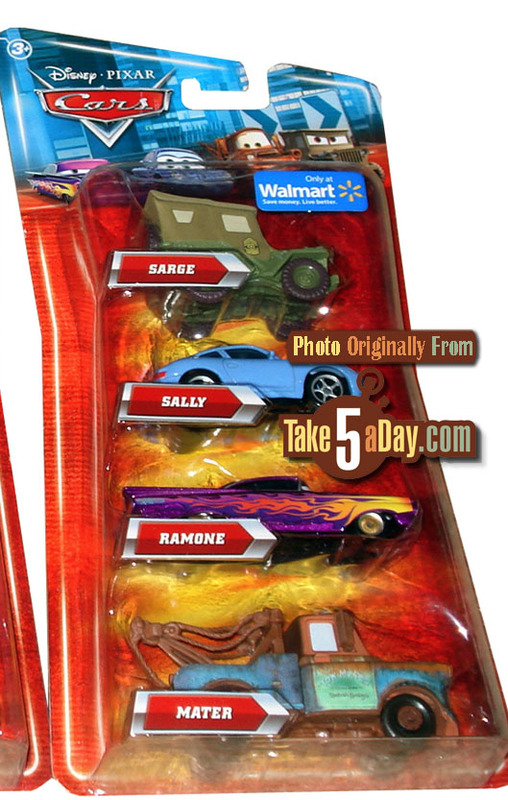 There’s a Christmas stocking with CARS sounds, the Mater Wrestling I-Screamer 3-pack is available online, as is the Mater Wrestling Rastacarian 3-pack … the Dr. Feelbad 3-pack is out of stock online. The Mater Saves Christmas 3-pack with corrected photo is still available online – hurry! Sears will be open from 7 AM to Noon THANKSGIVING DAY – if you use a SEARS card, another 5% off … no Mattel CARS on Black Friday but they have opened a toy department in some stores so if you’re passing by. Kohl’s will be open at 3 AM and all toys are 50% off. Meijer will be open at 6 AM – action figures are BOGO, lots of Lego sets are BOGO 50% off, & the CARS Garage is $30. (Nothing from the Disney Stores yet). If there’s anything else, just add it in at the comments. Found Rodney the Rocker at Walmart and apparently missed the Holiday Pixar cars at Toys R Us since they were not put into the Holiday area and were in the Cars area in the store. No UPC or SKN for the store so no way to find if anymore are available. I am still looking for the HMM Rodney and Dex. Found the Christmas singles at TRU in the Holiday section. Off-topic, but I was lucky enough to find Rodney the Rocker and Dex today! 🙂 They also had Heavy Metal Lightning McQueen and Eddie & Rocky(the pittys). Which store did you get them? TRU? I would also like to know which store you found these at. 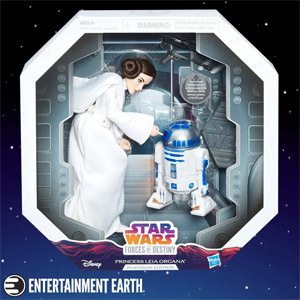 Has anyone been able to get the Christmas TRU singles and in which state. Any thing about Target Christmas 5 pack? I have seen the HMM singles at both Wal-Mart and Target. 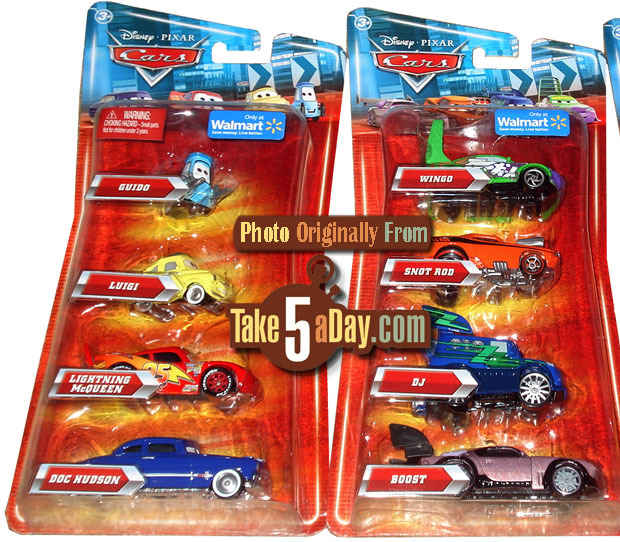 As for the Christmas 5-packs, they are part of Ashton Kutcher’s new “Cars Punk’d” line, and will never be released. But tune into MTV this Spring for hilarious footage from Target’s security cameras from all across the nation, showing collectors pulling out their hair and wasting their time asking stock clerks about the $29.99 shelf tags. By the way, the DCPI# is 087-07-1007. That’s really Ashton’s Social Security Number, so it all really makes sense when you think about it. I have a sneaky suspicion that McQueen is gonna have a slight variation for some reason – Makin’ us HAVE to buy it all over again!!! Great four pack though… About time those four(Tunerz) were stuck together in one happy bubble!!! What is the Hauler for black friday if any? someone local just told me that Walmart people said there is one coming, a Mack. (MET: I wonder if it’s the talking Mack. Like the Target overstock above of the 9-packs, I’ve seen at least two WM’s with a giant stack of the Talking Mack above the aisle). I don’t know but it seemed odd to me that 3 cases of haulers are enroute and we haven’t had more than 2 total cases the last 3 months. Jack told me about these yesterday. When I inquired at our walmart I was told they are not showing in the system yet but the pallet is en route. I don’t know what they means, if its just these on the pallet or what but sounds like there should be plenty. Our manager also said as long as they last they will be $10 because they are non replenishable and there is NO tag for them. This is true for any black friday toy item and various other items. Non-replenishable and if no tag it will be that price til gone. I know I’m in a fairly small town so his comments may be different than other stores. He did also say he has 3 cases of haulers enroute and he will keep the rollback price of $10 through black friday weekend. We haven’t had more than 2 cases of haulers over the past 3 months. I wonder what would happen if I ordered fish bait & a light switch from Kmart.com — is it possible they would pull a bait & switch on my bait & switch? you would probably get a Paul Valdez. Anyone know if and what the TRU sale for any cars are for this weekend? My wife works at The Disney Store. The Disney Stores are opening at Midnight after Turkey Day. The entire store is supposed to be 20% off, but only for a short time. After the storewide 20% off expires, they will have 2 hour sales all weekend. Every 2 hours, something goes off sale, and something else goes on sale. Our son is really into Cars, so she looked at the entire schedule and didn’t notice anything we needed to pick up, other than the midnight 20% off everything. The UFM 2-pack with glowing Mater and Mator is what we are eyeing, as well as Patty O’Concrete, and I Screamer. I will get them for the DJ and Boost variant (rims are not red. And good ole plain regular Sarge again. yea i noted that the links for the 4 packs were not working yesterday on the original post. I will probably be getting at least one of each of these. Nice presentation of the Tuners…. Yeah, unless you buy it online like I did. Once you get it you’ll quickly find out it becomes an opener 🙁 They are sitting in my “work desk collection”.